Tax Credit Connection, Inc. has been supporting land conservation since the company’s inception in 2003. By offering smalls grants and donations to land conservation organizations, sponsoring the statewide Colorado Coalition of Land Trusts’ annual conference, volunteering to educate the state legislature on bills to improve the tax credit program and providing educational materials and conferences, Tax Credit Connection is a strong conservation partner. We were involved with the formulation of the state review process for conservation easement tax credit certificates that was implemented in January 2014. Since then, we have continued to thoroughly review landowners’ files including their appraisals, deeds of conservation easement, title work and all other due diligence. By providing that final set of eyes on the project, we can find red flags that might cause a hiccup at the state and keep things moving smoothly. We want you to get your tax credits as quickly as possible. Tax Credit Connection, Inc. gets deals done. Since our founding in 2003, we have transferred $80 million in tax credits for our landowners. That has helped landowners to earn tens of millions they were able to put in their pockets. 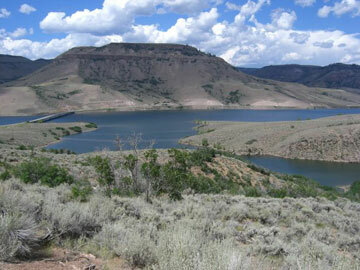 Our buyers have also saved millions on their taxes while supporting the preservation of Colorado’s natural treasures. Our goal is to make the process as easy as possible for our buyers and sellers and be there with you every step of the way.